Uncommon Paranormal Activity | Spell Hub. Brining the occult to life. Every culture around the world has their own versions of ghosts and types of hauntings. In an earlier post, I discussed the three most common types of haunting; an intelligent spirit, a residual ghost, and an elemental (or demonic) presence. In this article, I am going to introduce you to a few rarer types of reported hauntings. Doppelganger is a German word that means “double-goer”. A doppelganger (or “fetch”) type of haunting involves an apparition that is an exact replica of a living person. In some traditions, when a person sees their doppelganger it is considered to be a bad omen and possibly a precursor to their death. While the term doppelganger comes from German folklore, the concept is recognized in other cultures as well and is sometimes referred to as a “ghost of a living person” or an “evil twin”. However, in some cultures, a doppelganger is not seen as a spirit of a person, but instead as a version of an Ankou, the personification of death. While reports of human spirits are very common, animal spirits are a little less talked about. However, there have been many recorded reports over the years of phantom animals. In some cases, a beloved pet will remain with their owner long after their death. 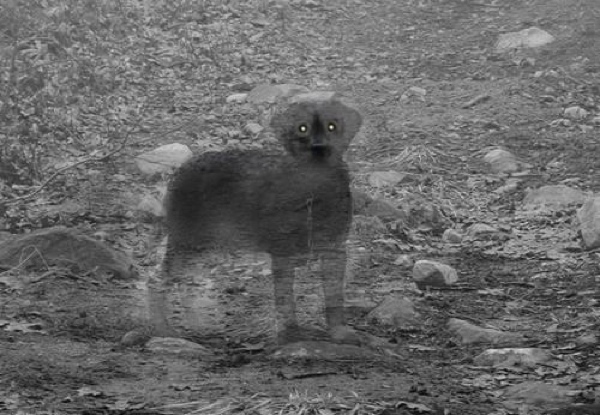 Along with physical manifestations, these spirits sometimes make their presence known by smells or sounds, such as scratching, panting, or scurrying of tiny paws. Perhaps the most famous representation of a phantom inanimate object is that of the Flying Dutchman, a ghostly ship said to roam the high seas in the 17th Century. There have also been reports of other phantom objects, such as cars, trains, or lanterns. These manifestations are a rare type of residual haunt that are seen going about their way in a perpetual loop of time. They are always experienced in the same place and at the same time of day. Etheric revenants are a type of paranormal entity that is sometimes mistaken for a shadow person because initially they look very similar. However, there is one very important distinction between the two types of hauntings. An etheric revenant is said to drain the energy from human beings when in their presence. These spirits are thought to be very dangerous, as they leave their victims feeling physically and emotionally weakened. This type of haunting is rarely discussed, even in the paranormal research field. At one time called the “Night Hag” (amongst many other names), this phenomenon was once thought to be the work of demons or otherworldly spirits. However, it has more recently been described as a sleep disturbance known as sleep paralysis. I decided to include it in this article because it has been recorded in one form or another on every continent on the planet, and I am hoping to clear up any confusion about this kind of occurrence. As someone who has personally experienced sleep paralysis, I can attest to the fact that it is both frightening and confusing. It occurs most often when a person is sleeping in a supine position (lying on their back). The sleeper becomes consciously aware during REM sleep, believing that the have awakened. During this phase of sleep, the body is paralyzed and the sleeper becomes suddenly aware that they cannot move. This is often accompanied with both visual and audio hallucinations. So, it is not uncommon for the person to believe that someone is in the room with them. Many people have described seeing a witch-like old hag (hence the name), but the reports vary greatly from person to person. To be clear, this is actually a medical condition, not a ghost or spirit. I do admit, however, it feels very real and terrifying when it is happening to you. Therefore, it is not surprising that this phenomenon was assumed to be something supernatural for so long. Presently there is no known cure for sleep paralysis. However, if you suffer from it like I do, there are a few good ways to reduce the likelihood of having an episode. First, try not to sleep lying on your back. Personally, I have found that to be very helpful. Also, avoid drinking alcohol or eating large meals right before going to bed. Finally, try putting away your electronics at least one half-hour before turning in at night. Not only does this reduce your risk of sleep paralysis, it will help you fall asleep faster and improve the overall quality of your sleep.